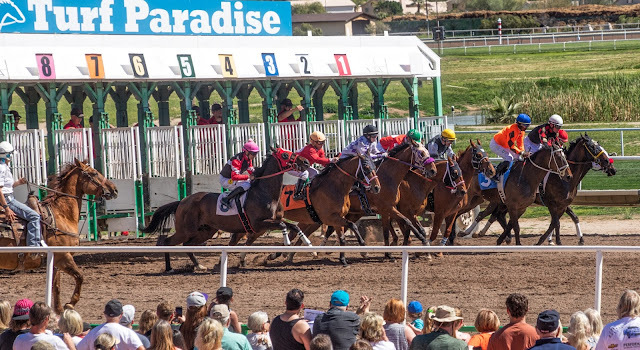 I spent another lovely Phoenix, Arizona afternoon at Turf Paradise. 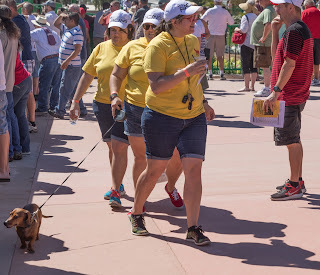 This time the attraction for families was wiener dog races. The special events always brings a crowd and it was no different on this day. To the left, it looks like a parade of wiener dog handlers going through the throng of people. 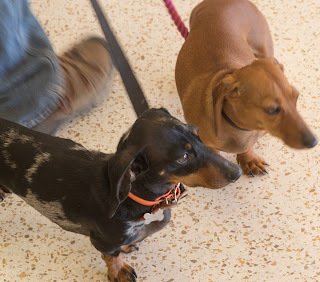 Wiener dogs for ME meant a sale on hot dogs and I had a few while visiting! Although it was the 11th of March, it was nearly 90 degrees. What made the visit fun for me was I had a chance to talk to people visiting from Wisconsin and Illinois. They looked confused so I shared some tips on where to sit, for instance. I like it up on the top deck... best view for photography, I think. And I gave some betting tips. Like: take out a dollar bill, what is the last serial number? Bet THAT horse!